This article was written on 4. 9., 2017, and is filled under News, Transformation Tools. 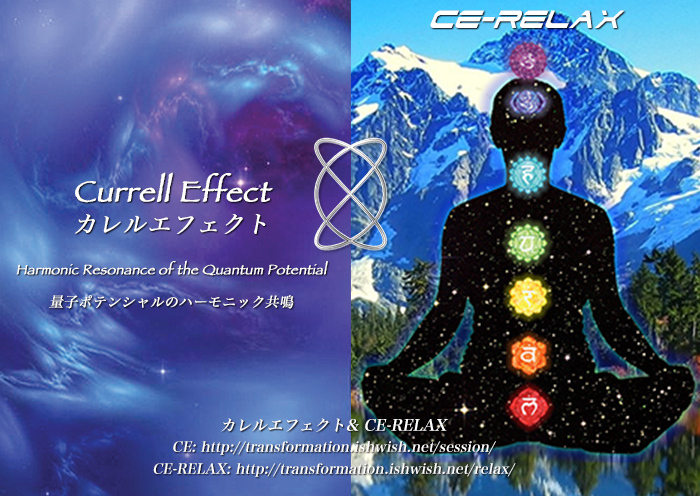 Since the debut of the Currell Effect in Nov.2012, we have given thousands of sessions. From the data collected, Christopher noticed that people have stress but are not aware of their conditions. In Sep. 2016, as a remedy for this condition, Christopher developed a new sound session called CE-RELAX. CE-RELAX helps de-stress and relax the participants before the CE session. Since the debut of CE-RELAX, we received great feedback about the amazing synergy effect by taking CE-RELAX and CE together as a set. Recently almost all the participants have requested the set. In order to meet this increased demand, we have rearranged the session schedule so that we can provide the set sessions smoothly and efficiently. Flow of the CE-RELAX & CE set session. 1. Reception (Lounge on 2nd floor), explanation about the session and guided to the session room on 1st floor (Total of 15 min). If you are interested in becoming a CE Practitioner, please see the link below.